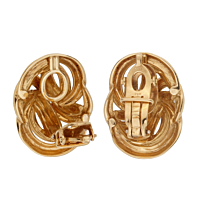 A stunning pair of vintage Tiffany & Co braided clip on earrings in 18kt yellow gold. Multiple interlocking braided knots are the focal point of these elegant earrings which have been delicately textured for added interest. 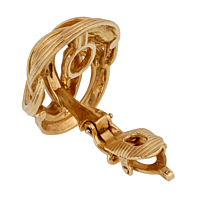 The posterior solid clip-on feature has a hinged clasp.